A helicoid admits a continuous skrew motion along its axis. 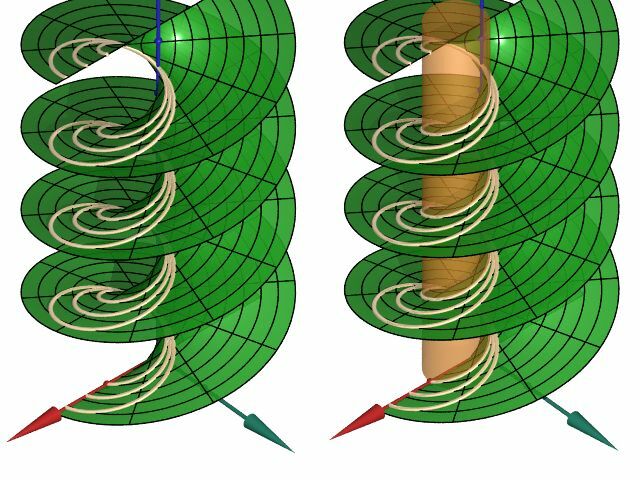 Under this motion the points of the helicoid move along helices, except for the points of the axis. Their path is the axis, which is a straight line. There are, however, even more helices on the helicoid. These arise as intersections of the helicoid with cylinders of revolution that contain the axis of the helicoid.